Kyou is a stubborn, hot-headed boy. He is easily provoked and angered in any situation. As with most of the Sohma clan, Kyou is cursed with becoming an animal of the Zodiac when hugged by someone of the opposite gender. His Zodiac animal is the cat which, in legend, was barred from becoming one of the official twelve animals because of the rat's trickery. Kyou hates the current rat of the family, Yuki, as a result. The two constantly fight and Kyou loses every time. Ever since he met Honda Tooru, who admires the cat of Zodiac legend, he has expressed a soft side of himself. 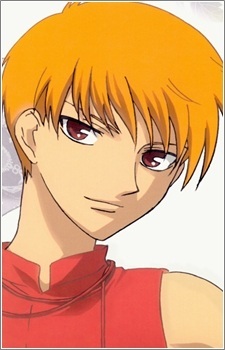 Kyou was always separated from the Sohma clan, including his parents, which is likely the cause of his short-fused temperament and stubbornness. He constantly trains in martial arts so that he might one day defeat his rival, Yuki. His martial arts master is one of the people he respects the most.